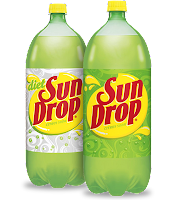 FREE Sun Drop 2-Liter for Shop'nSave Shoppers! Here's another freebie (click here to get a free bottle of Coke!) you can get from Aisle50 and if you live near a Shop'nSave grocery store! NO PURCHASE NECESSARY. Just click "Get it now" to put this deal on your Perks (loyalty) Card, then go grab it at the store for free!